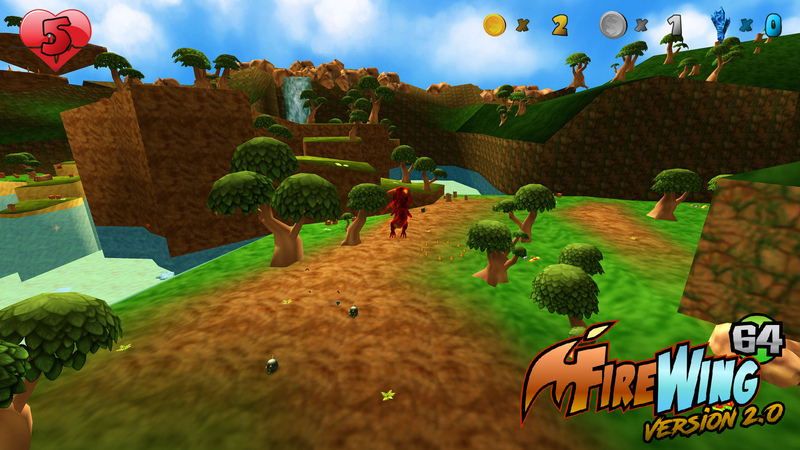 Shortly after the release of the original version of Firewing 64, it was met with generally positive feedback. A number of these people also offered suggestions on ways to improve the game in general, so I took those to heart (at least the ones that I agreed with) and got to work! 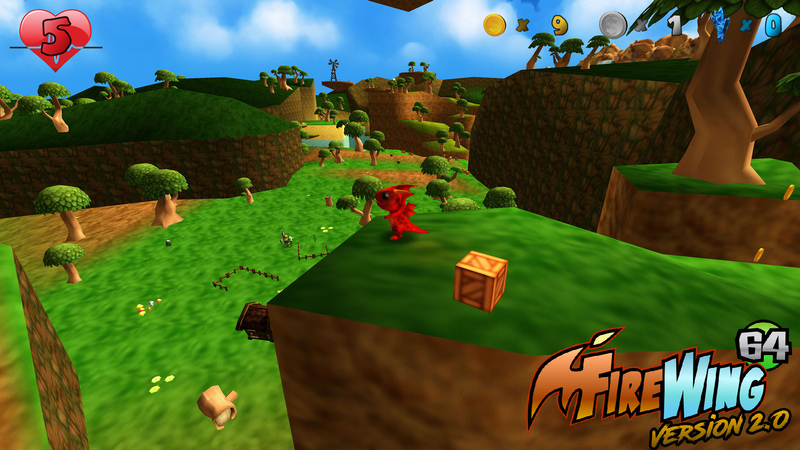 First and foremost, just because the game is inspired by the Nintendo 64 3D platformers doesn’t mean it has to be ugly. I used the Nintendo 64 style to be lazy (for lack of a better word). 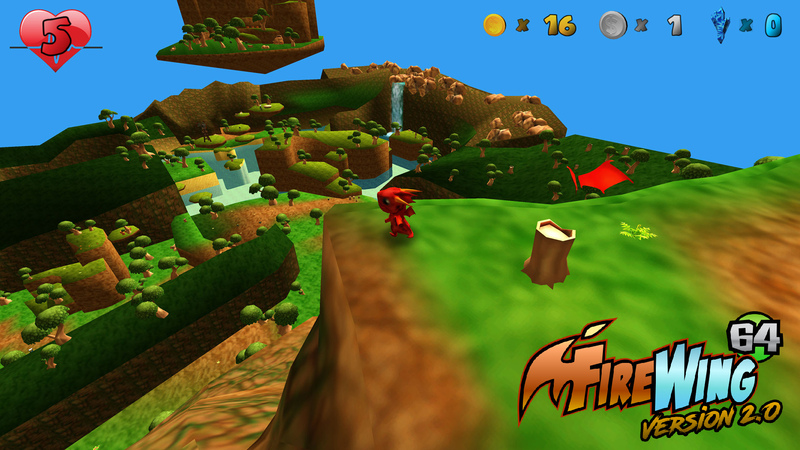 So I improved and updated all of the textures, while still retaining that distinct Nintendo 64 style. Next was the geometry. There were parts that I didn’t like, and in general everything seemed to “sharp”. The Nintendo 64 could only do so many polygons so I didn’t want to give up the limited number being used here. Simple fix: apply smoothing groups to all of the geometry. With the game looking much better, I turned my attention to the controls. Some people had mentioned that they didn’t like the button layouts and the inability to use the mouse to control the camera. That too has been fixed. I was able to reduce the button usage by doubling-up some of them. For example, there is no longer a dedicated button to ground pound. Now that is performed by quickly-tapping attack while in the air. In addition, the character now jumps higher based on how long the jump button is pressed (a staple in any 3D platformer really). 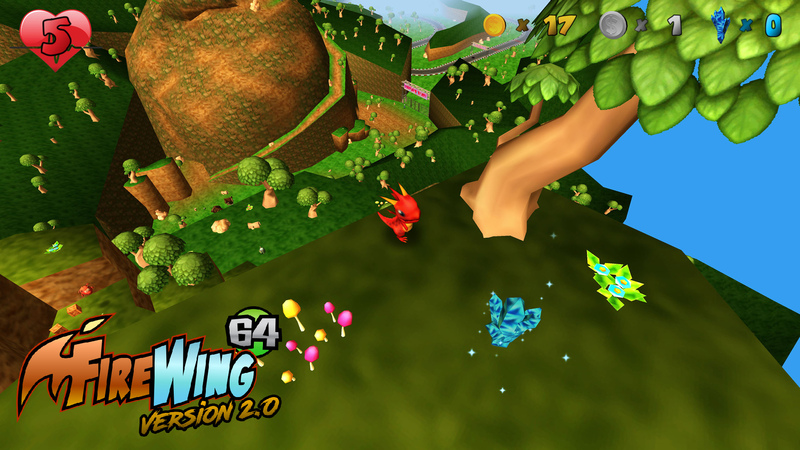 In addition, footstep sounds were added as was a wing flapping sound while gliding. The original version had no save function, for both game progress (at the time I didn’t deem it necessary since it was fairly short) or for the options configuration (inputs, sound levels, graphics, etc). Well, that too has been added. The configuration will auto save after updating any option settings and the game after collecting any of the crystal shards. The level also felt like it could offer more to do, so I added another crystal shard that can be collected by finding the broken blades of a windmill and repairing them. 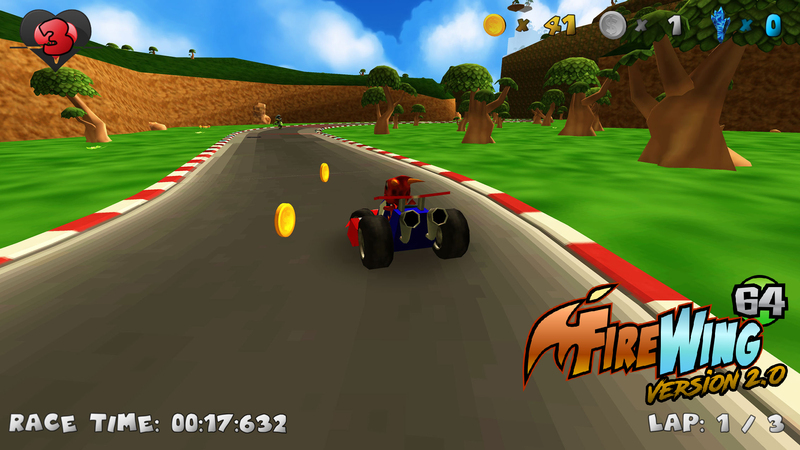 While over at the race track, I added enemies and coins as something extra to do while driving! That is the bulk of the changes made in the last month. Other items such as bug fixes and new music (since people had mentioned the old music becoming quite repetitive) also found their way in to version 2.0. Here or on the Downloads page.